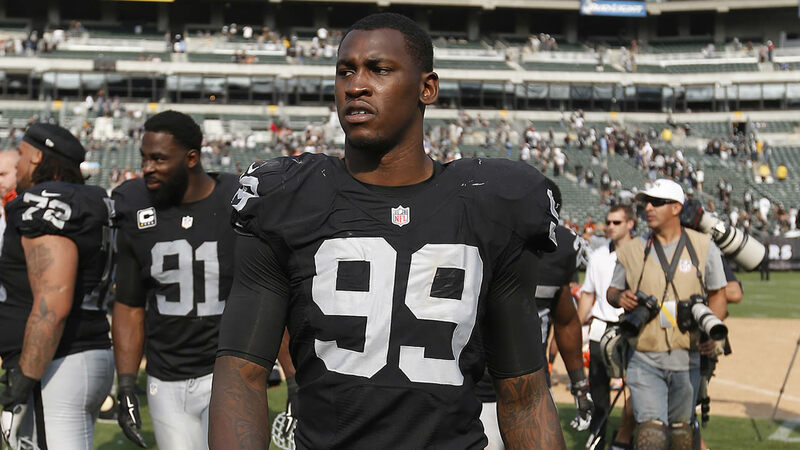 OAKLAND, Calif. -- Suspended Oakland Raiders linebacker Aldon Smith has entered a treatment center, according to multiple reports. It isn't clear what Smith is seeking treatment for, but the news comes days after a Periscope video surfaced that shows an unidentified man and woman talking about a hand-rolled cigarette. At one point in the video, the woman tells the man that he "shouldn't even be posting that" and that he is "hella stupid" as the man holds the lit cigarette. The video cuts off immediately after the man says, "They don't know it's me. It's not like I put 'Aldon Smith.'" Smith's decision to enter a treatment center was first reported Friday by TMZ Sports. Smith had tweeted an apparent denial that it was him in the video. Smith has previously been to rehab, in 2013, following two DUI arrests. ESPN's Ed Werder had reported that because of the video, the NFL will investigate whether Smith had violated the protocols required of a suspended player seeking reinstatement to the league following a violation of the substance abuse policy. Smith currently is serving a yearlong suspension that was handed down in November when he violated the NFL's substance-abuse policy. He will be eligible to apply for reinstatement in September, 60 days before the one-year anniversary of the suspension. Click here for full coverage on the Raiders.